Although, you may almost smell like one if you win the DIY deodorant contest! All you have to do is “like” the Practice What You Pinterest Facebook Page (there’s a convenient button for doing that on the right side of your screen here) and post a comment about the worst cooking or crafting disaster you’ve ever encountered by Saturday, June 30th. If you have any photos to share of the dish or craft, we’d love to see them. 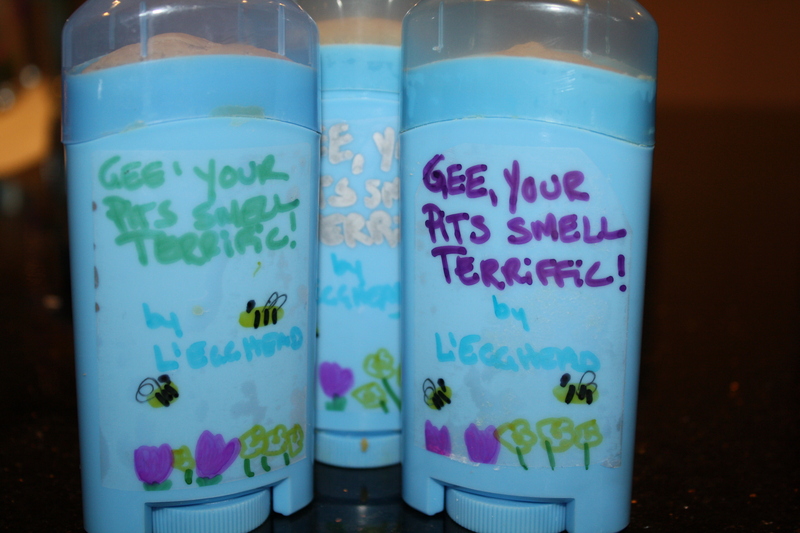 Three winners will be chosen at random and sent one tube of Gee, Your Pits Smell Terrific by L’Egghead deodorant. Winners will be notified by private message on Facebook on or about July 2nd.